I eat fruits and veggies, but based on everything I’ve read, the potential health benefits of juicing are too great to pass up. 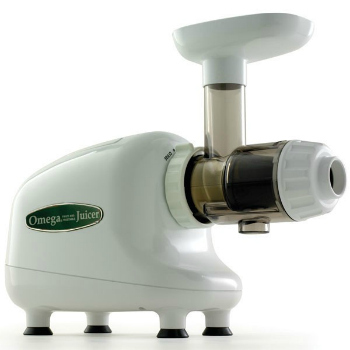 Unless you’re an impatient person, the Omega 8003 is great for a beginning juicer. It not only handles apples, oranges and carrots, but won’t get bogged down with wheatgrass, spinach and other leafy greens. Unlike a centrifugal juicer, which violently shreds what you put in it, the Omega 8003 uses what is known as a dual-screen, single auger. That means it doesn’t cut or chew as much as it mashes pulp forward into the end of a cone using the pressure of a spinning auger. The juice yield definitely trumps my old Braun centrifugal juicer, which can’t handle wheatgrass. The pulp I get from the Omega is drier and if need be, I can easily put it back through for a tiny bit more juice. I put the pulp from the Braun into the Omega and actually got several extra tablespoons of juice! Of all the machines I’ve researched, tested and used, the Omega 8003 just crushes every piece of machinery, especially at this price. After eight months, I still use the juicer almost every other day and nothing has broken or malfunctioned. Juice extractors tend to be jet-engine loud. While the Omega’s motor is strong and hums with authority, it’s killer quiet. I can easily juice in the early morning or night without waking my wife or the neighbors. It’s also not too large in size and the folding handle on top makes moving the machine around much easier than other machines. The construction is solid. Omega backs it up with 10-year warranty. 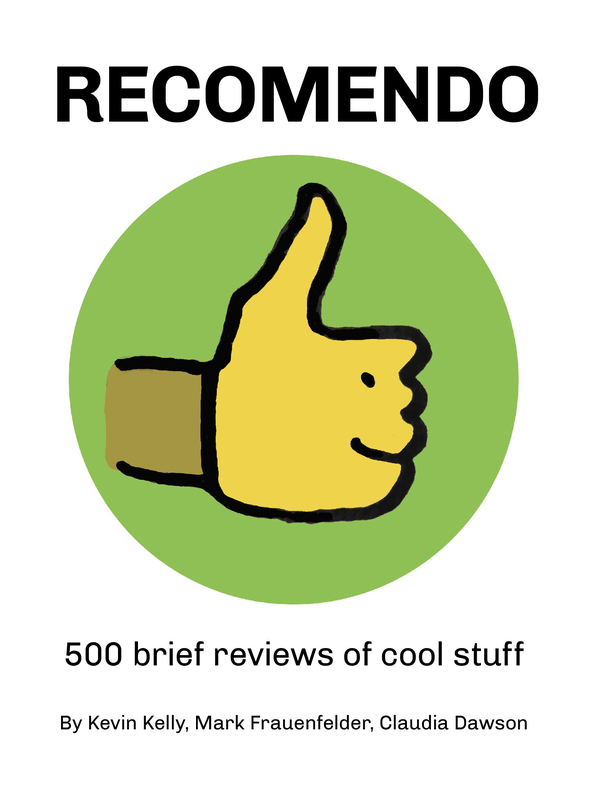 Juicing itself is relatively subjective. Some people want to process lots of fruit, and fast. While the Omega isn’t as quick as some centrifugal juicers and while it can’t handle soft fruit like bananas or strawberries quite as well as other juicers, it gets the job done. Plus, I feel the juice quality is better. The only other juicer in the same realm is the Green Star, which is harder to clean, bigger and almost twice the price! Since the 8003 has only a few parts, it is by far the easiest and fastest juicer I’ve seen and tried to clean. You can also use it as a food processor and grinder for coffee beans, flour, garlic, etc. There are also several optional attachments if you wish to make nut butters, baby food, frozen desserts, pasta and other things. For those who are concerned about heat destruction of enzymes, the Omega’s auger turns slowly and doesn’t appear to generate much heat. Granted the process of crushing and squeezing the vegetable matter through a small screen will cause friction, but I don’t feel it’s a big deal for the average user. Same goes for oxidation. All juicers introduce some oxygen into the juice because of the mechanical process of extraction. With some fruits and vegetables, however, this machine does a noticeable job of reducing the amount of foam. Using two carrots from the same bag, I juiced one in a centrifugal juicer and one in the Omega. There was a lot less foam with the Omega, and the color of the juice was also darker and richer. Overall, I’m thrilled with my Omega 8003 juicer. I paid about $229 for mine, plus shipping. I feel that’s a very reasonable price to start changing my life and health.